Well, after a month hiatus, I'll try and get things back on track. I have to admit I have yet to see, let alone try this one. Yet it intrigues me a little. Here's why. My first taste(s) of bourbon was many, many years ago (early 1970's, and yes a little underage ) when I had no clue what bourbon even was. A few of my buddies and I would pool what little money we had, and get an older friend to buy us some whiskey. He bought either Rebel Yell or Yellowstone. Needless to say, we had some good times. My personal history with Rebel Yell aside, there's been a lot of discussion about it here lately, so I figured it would be a good BOTM. Cheers and happy posting! Let's here it for Rebel Yell 10 yr old Single Barrel. Great choice, Joe! Patience really is the name of the game when it comes to whiskey. Very nearly a year after finding that COLA for RY10yrSB, I finally managed to snag a bottle this past weekend. Man, was it worth the wait! I'm a big fan of HH's wheaters and this one does not disappoint. Had a couple of pours last night and I'm doing a SBS with Larceny tonight. The family resemblance is there but RY is definitely the big brother here. The proof is higher but the palate is also more robust beyond the bump in ABV. It's like comparing MM with MMCS - there's more of everything. Where Larceny has a nice oak backbone, RY has an oak framework on which everything else hangs. HH wheaters have more in common with MM than Weller, IMHO. Weller tends toward fruit sweetness where HH and MM present a spiced pastry profile - both sweet but different. MM fails for me in that the available products (except for 46, mostly) taste too young. HH wheaters seem to show more age (I attribute that to barrel rotation keeping all things equal at MM) and RY shows it's age well. The barrel from which this bottle was taken is excellent. I was a bit concerned that these might have been sub-par barrels rejected by HH but that doesn't seem to be the case. This one is very good. My next SBS will be with VSOF 12yr but if memory serves, the RY may best that one even proofed down. I really hope to score another one of these before they're gone. Barring that, I did get news from HH that they'll complete their national rollout of Larceny this year so we should have ready access to that one soon. First, I 100% agree with your comparison assessment of HH wheaters being more like MM, and less like Weller's for the same reasons you say. Second, I LOVE the oak "backbone" vs. oak " framework" differentiation. I have not thought of it in those terms, but your description shines an absolutely bright light on what you mean, and I "get it". I now have a new tool to use in my tastings. I love learning stuff like that, here. Thanks! Haven't gotten a bottle (just not willing to seek it out and it is not one I have seen just sitting on a shelf) but did get to try it recently. A bit sweeter than I expected for its age and not much like either Larceny or VSOF to me. Rather than being "sub par" HH barrels perhaps these were simply not the right profile for HH and maybe that is why they went to Luxco. Haven't had enough MM recently to really say there is any similarity or difference. But if I do stumble on a bottle will perhaps do a comparison with Larceny, VSOF, Weller and maybe MMCS or 46 some Wednesday afternoon! 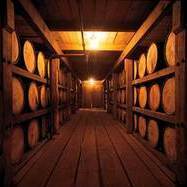 When so many bourbons are being down-proofed and going NAS it is encouraging that a couple old-time respected labels like Yellowstone and Rebel Yell are being restored to or moved to upper shelf status. With this said, I still don't understand the marketing strategy behind putting bottom shelf labels on upper shelf bourbons. Not yet made it to the UK, assume we won't see any until further batches. So if you wanna send me some... feel free to, you know. I wasn't actively seeking this one, but had determined after all the positive things I'd heard I'd get it if I saw it. Picked up a bottle for $42. I was initially unimpressed with this one. The nose was good, but hot. I also thought it drank hotter than its 100 proof and while it had a lot going on (especially in the barrel department) it was a bit "muddled". The finish reminded me a lot of HM 10yr Single Barrel's finish which I love. I gave it several tries neat hoping it would open up. Finally tried it with a splash and this became one of the best pours I've ever had. All that good stuff from the nose gained a nice sweet pink bubblegum note. The oak remains the star of the show, but that nice sweet note from the nose transfers to the palate as well, and it kept that nice musty oak Henry McKenna'ish lingering finish. Glad I found it and if I see it again for $42, I'll pick up another. Thanks for the kind words, Joe! Our geeky little discussions are what makes this board fun! It seems that, as a single barrel, there may be a fair amount of barrel variation in this line from what people have been reporting. The bottle I have is squarely in the HH family but I don't doubt that the one you tried was different. When you get around to picking one up, (and, c'mon, we know you will, Bruce!) let us know what you think of it! Hoping this penetrates Michigan at some point; but so far: No Joy. Good choice Joe. I am an avowed wheated bourbon fan. All the BT versions, all the MM versions and of course dusty S-W. But other than Old Fitz BIB as a mixer, I don't love HH wheated. The Prime is thin and useless at 86 (or 80)proof. Larceny is ok but doesn't really jiggle my jimmies. And the VSOF isn't very special. And overpriced. And now impossible to find anyway. So leave it to a NDP to take HH's own make and package it at an age and proof (and as a single barrel to boot) that beats the actual distiller's line all ends up. Ten years must be a sweet spot for HH wheated (anyone remember PHC 4?) because the RY10 has a great combination of the hallmark apple pie filling and cherry cola a wheated mashbill brings with enough oak backbone (or framework to borrow a fantastic description) to balance and carry it home. And 100 proof echos Weller Centennial and to my palate is spot on here. There will clearly be some barrel variation, but I grabbed a couple of my barrel before they disappeared and can't wait for round two later this year. Tried this one again and am still disappointed that I'm getting nothing like what most of you are getting. I got one of the "meh" barrels I guess. I get NO sweetness whatsoever, even when adding some water. Basically just a hot alcohol entry and a very oaky, almost bitter finish. My wife got me this for Christmas and had to pay a premium to get it (with shipping, etc.) since it is not available in Missouri. Tasted this at a whiskey bar downtown. I got some vanilla, orange rind (more on the nose than on the palate), some white pepper, faded hint of clove and lots of oak, which I like, but It could have used some sweetness (was looking for the apple pie somebody mentionned above, but didn't get it) to round out the experience. I added a cube to tame the burn, and it was fine. I know there is no relation between the two, but in the same bar we (6 guys including heavy scotch drinkers) did a side by side with EC 18 and they weren't too far apart because of the oak. These seem to be all over the place from barrel to barrel. Not sure I would want to buy one unless I had tried the particular barrel in question. At least they have an individual barrel number on them so that is a plus. I'm a big fan of Weller. I thought I was a big fan of wheated bourbon, but it's really just Weller. I like Maker's ok, especially the 46 but I don't drink it all that often. I tried Larceny but it was tough to get through that bottle. Too harsh and not sweet at all like Weller. I also like Bernheim and 1792SW. Anyway, after the early reviews on here comparing it to W12 I was excited to try this. First impressions were that it was a slightly smoother version of Larceny, drinkable but not worth the $45 or so I paid for it. I tried letting it have air and it got a little better. I'm about halfway through the bottle after 2 months and have tried it with water and it's fair but not better than that. I have gotten it so that it's not so one dimensional. It's still all wood up front and hot for its proof, but I am getting smooth vanilla very, very late in the finish. It just appears out of nowhere and that's kinda neat. I'm happy for those who go love this, but it's not for me, especially at the price. It's twice what I pay for ER10 and just under what I pay for Stagg Jr. I have a good stash of OWA and this isn't a substitute. Maybe I got a so so barrel. At this price, I'm not willing to chance another one unless someone vouches for the barrel number. I've included a pic below in case anyone has this one. Hey Charlie, I got a bottle from that same barrel. I picked it up in MD as well as I live in DE and it hadn't been released in DE when I began looking for it. Fast forward about 1.5 months, and tasting this bourbon again and basing it on its own merit (as opposed to comparing it against OWA and Larceny), I find it is a nice pour. Again, I don't think I will ever favor it over W12 or OWA, but I don't feel as though I have wasted my money on this purchase. I may even buy another now the PA state stores have RY10SB in stock. Just so hard (for me) to find OWA or W12 that as the opportunity to buy a "decent" alternative becomes available, it kind of hard to pass up. Thanks Rich. I'm right there with you. Decent enough bourbon but not one I'd seek out. My local retailer said he was expecting another release of this in the next month or so. I'll continue to keep myself posted on the reviews in case a good barrel hits the stores. It was available for a few weeks or a month at the stores that were charging $50. It did jump off the shelves in MoCo where the price was $44. I should be able to get it if I want it. Great pick for the month. As posted in another thread this one was a very pleasant surprise for me. I am not a big fan of HH wheaters but this one was very different. It had a bold taste of caramel and vanilla that my taste buds associate with a rye. Also longer, hotter finish than most wheat bourbons. I'm a big fan of ALL the BT wheaters but this one is totally different. It's rougher around the edges and is slightly sweeter than say OWA. My bottle is 4744181 also 9/2005. I bought it in E TN during the Thanksgiving holiday and am now rationing out an oz. from time to time. Haven't seen another bottle since. I can't say it is a bargain at $50 but I would buy another in a heartbeat. Have had a stellar bottle of this and an outright loser. Unless I can taste a bottle beforehand, I think i will pass on further purchases of this expression given the price point. The first bottle really got my hopes up that I would be able to scratch my wheater itch at a reasonable price and with regular availability. Is it reasonable to think that Luxco could weed out the weaker barrels? Hmm. I didn't even hear about this. That's what you get when you're lured away from SB.com for a while. I'll have my eyes open when I road trip again in March though... a nice 10yr wheater at higher proof could be a very welcome thing indeed. Just opened mine up and I think I caught one of the good barrels as I am certainly enjoying it - peanut brittle on the nose and a lot of caramel and maple syrup in the taste. There also is some oakiness in the finish. For those interested, my barrel number was 4744343, aged since 9/2005. I have been looking for this one since I read about it last August. Can't believe I found Weller 12 but not this one. Still searching but stores around me wouldn't know it existed if I didn't bring it up. The bottle I picked up yesterday is from barrel 4744378. Doubt I'll open it anytime soon due to the overflowing open bottles.